Everything in our world is made up of positive and negative charges, which together make a whole. You have been guided to choose this book by your soul because you are ready to question long held-beliefs and make choices in alignment with your sacred path. By consciously affirming the Holy Trinity of yes’ you will move to the next level of conscious awareness. No is a word of strength, and yes is the road to peace, purpose, and prosperity. Yes, yes, yes. Set your intention on this day and forever more. My new release, No! 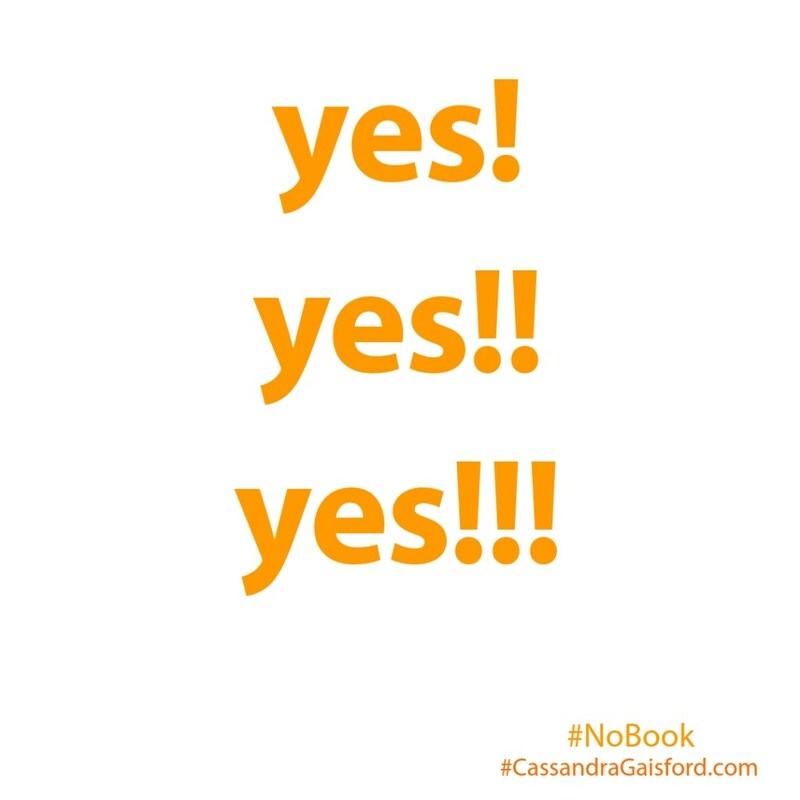 Why ‘No’ is the New ‘Yes’ will empower you with the life-enhancing ability to step into your authentic power. No! Why ‘No’ is the New ‘Yes’ is short on words but big on ideas and huge on transformational change. This year I set an intention to say ‘no’ to procrastination and perfectionism and yes to releasing one new book every month. And so far, I’m on track. And guess what—achieving intentions feels great! Yes, yes, yes—it feels awesome!!! At the time of writing this post we’re three months through 2019—what New Year intentions did you set? How are you tracking? Perhaps you’re like me, or Catherine who also needed to say ‘no’ to perfectionism and procrastination. Or Tim Ferris who needed to master the art of saying ‘no’ to FOMO and other things that distracted him from his goals. “I’ve been burned enough times by FOMO-based and ego-based decision-making to know that I’ll always regret choosing to do something for the wrong reason,” Tim once said. I share more of his tips in this book. Discover how this one little word will change your life. You can also use this link to download or scroll through sample chapters to see if this book is for you. “No! Why ‘No’ is the New ‘Yes’: How to Reclaim Your Life, Shine in the Sun, and Be Authentically You is a beautiful collection of important parts of ourselves, our lives, how we live in this world and how we live with ourselves and with each other. Each page is dedicated to one thing we often say no to that keeps us stuck or hurt or procrastinating and turns the No into a vibrant Yes.